Top 5 Reasons to see Disney's "Frozen"! Disney's "Frozen" IS awesome! I loved everything about the movie but I'll narrow the reasons down to 5 so that you can quickly run out and see it for yourself. "Frozen" centers around two sisters, Anna and Elsa, who have been separated due to a deep dark family secret. Once the secret is unleashed, they must find a way to save their kingdom of Arrendelle or their people will suffer in a constant state of winter. 1. Kristin Bell! She was funny, witty, warm and endearing as the voice of Anna. SO impressed. Who knew Veronica Mars could sing?! Very well, I might add. Because I certainly didn't. 2. The songs!!! I guarantee that they'll become classics, especially "Let It Go", sung beautifully by Broadway star Idina Menzel and the heart-warming "Do you want to build a Snowman?". We walked into the Disney store a few days after seeing the movie and I couldn't believe that my daughter was already singing it. 3. Josh Gad was my favorite as Olaf the Snowman. Not only was he hilarious but you couldn't help but fall in love with his wide-eyed, clumsy but loveable character. You can't help but smile every time he appeared on the screen . Comedy genius. 4. True love which comes from such a wide variety of places that we sometimes forget where it can be found. Bring tissue, sniff sniff. 5. The animation was visually stunning and I highly recommend seeing it in 3D. See Disney's "Frozen" this Thanksgiving or catch it now at the El Capitan theater! 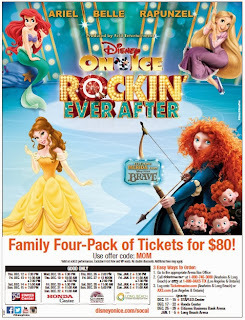 Disney on Ice has become a tradition in our family and this year we are excited to see Rockin' Ever After! World class skaters will bring to life our favorite moments from Brave, Tangled, The Little Mermaid and Beauty and the Beast. Sharp-shooting Merida will also be making her exciting on-ice debut in this spectacular musical showcase! This show is only here in the Southland for a limited time so check out the calendar below and purchase tickets now! Take advantage of this MOM Flyer discount and purchase your tickets before they sell out! 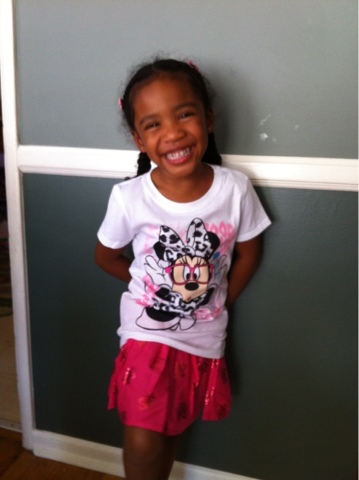 I'm super excited for back to school, especially since my 5 year old is starting kindergarten. Naturally, I went to The Children's Place to buy some snazzy outfits for the first day of school. 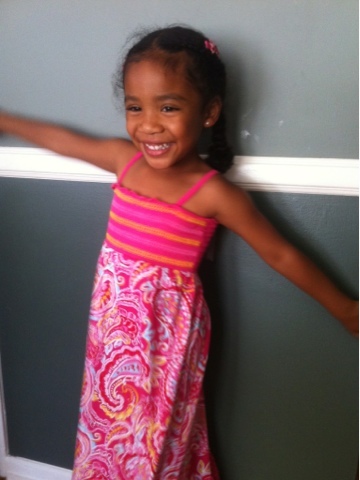 She loves dresses, dresses and even MORE dresses! I found two floral prints which are perfect for casual wear AND Sunday best. 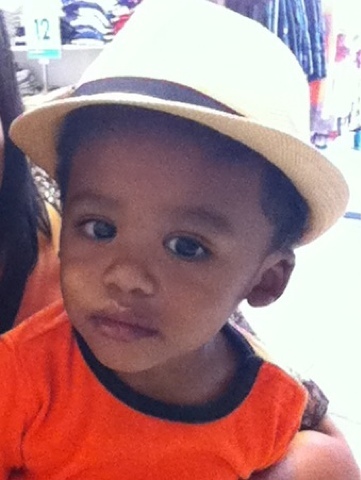 I always have to get my little guy hats so this fedora was a must buy! The Children's Place also has uniforms, backpacks and if you're a fan of the Smurfs movies they've got Smurfette character tees on sale right now for just $10! 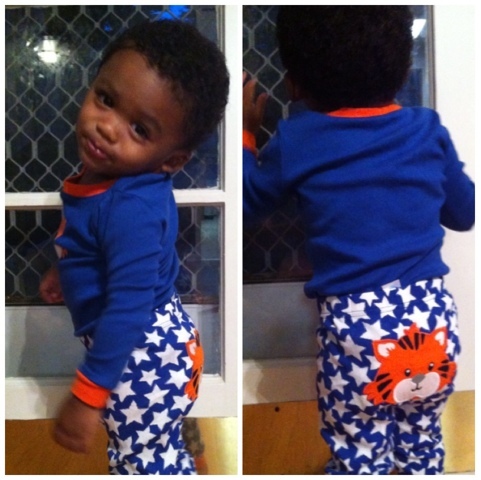 Don't forget to sign up for the Children's Place rewards for additional savings. Disclaimer: I was not paid for this post. I was invited to shop with a store credit and all of the views expressed are my own personal opinion. 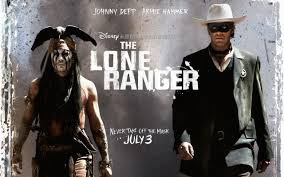 Disney's latest blockbuster movie "The Lone Ranger" is surprisingly funny. I found myself laughing throughout the movie at Johnny Depp's Tonto to Armie Hammer's masked rider. Director Gore Verbinski, who is the master mind behind "Pirates of the Caribbean", did an excellent job with the cinematography as some scenes are simply breath-taking. The movie is full of action sequences that will push you to the edge of your seat. Please be advised that there is some violence that may be a bit much for youngsters. Also the running time is two hours and thirty minutes so sip your beverage wisely. There is an all-star cast with William Fichtner as Butch Cavendish, Tom Wilkinson as the corrupt railroad executive and Helena Bonham Carter as a one legged madam. If you're looking for an action-packed movie this 4th of July weekend then, "High ho silver away!" 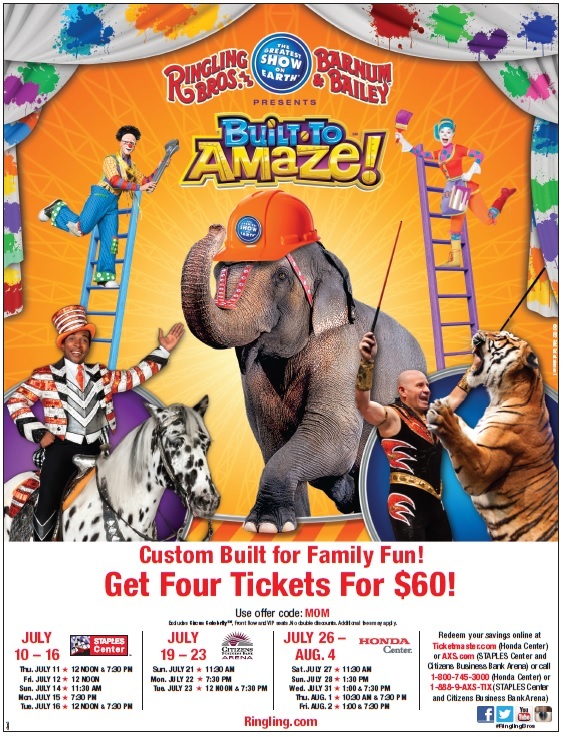 Use this flyer and "Mom" code to receive a discount on your Ringling Bros. "Built to Amaze!" tickets! 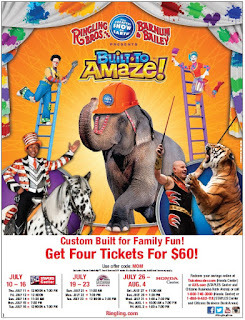 Ringling Bros. Presents "Built to Amaze"! 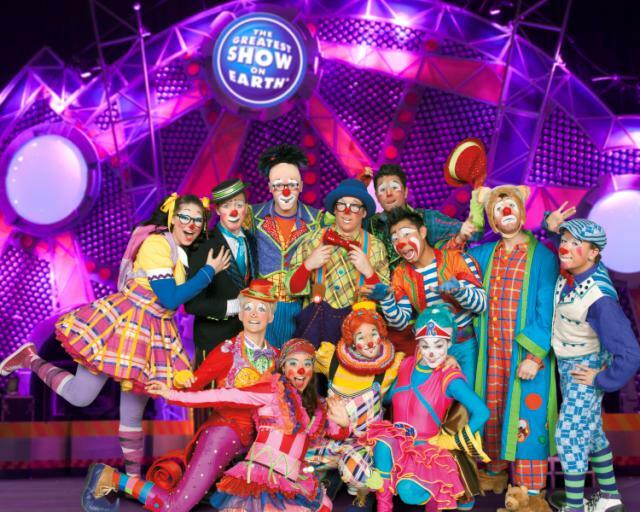 Ringling Bros. is back in Southern California with their extraordinary circus experience "Built to Amaze"! This one of a kind show with 110 of the world's best artists and athletes is sure to be an instant hit with children of all ages. My family and I are looking forward to seeing the death defying stunts and mischievous clowns back for another round of exciting performances. Be sure to arrive early and enjoy all the interactive elements of the show 90 minutes prior to each performance. Visit Ringling.com to book your tickets and further info. 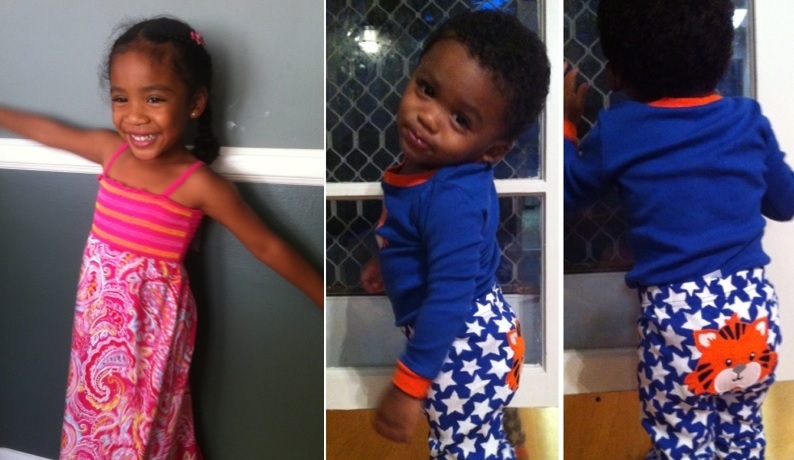 It's Summer Time at The Children's Place! Head over to The Children's Place for cool summer styles at bargain prices! They've got everything from bright floral dresses to chic and sporty bathing suits. 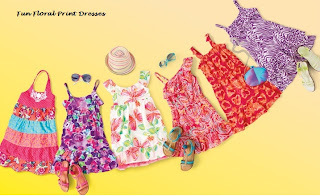 There are so many items to chose from and you can mix and match tons of outfits for as low as $10. Here's my fashionista modeling the full-lenth summer dress and my little guy getting warm and snuggly in his tiger pj's. 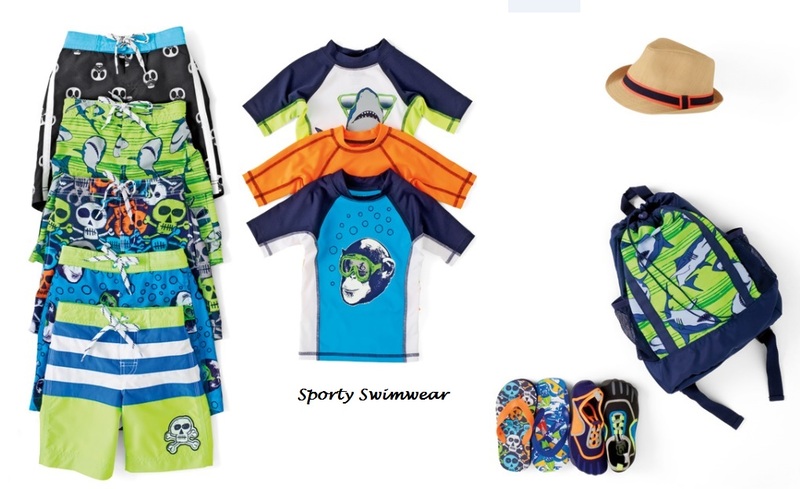 I love the fact that I could "one-stop shop" for playwear, swimwear, sleepwear AND underwear all in the same store. Having two kids, I'm always looking for ways to shop as efficiently as possible and at the Children's Place I can do that. Sign up at My Place rewards for special offers and additional savings. I did! I loved it! 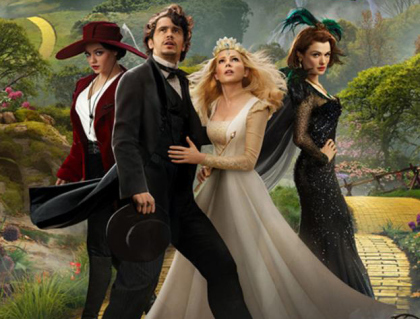 Oz the Great and the Powerful is a visually stunning movie directed by Sam Raimi. James Franco stars as Oscar Diggs, a Casanova circus magician whose hot air balloon gets whisked away into the Land of Oz. There he meets three witches (played by Michelle Williams, Mila Kunis and Rachel Weisz) and must figure out who is good and who is evil. Michelle Williams was by far my favorite as the strong and determined Glinda. The costumes were an absolute stand-out and I predict an Oscar nomination in the future. A warning to parents, there are parts such as the flying monkeys that might scare younger children, depending on the child. Aside from that, I highly recommend this prequel to the legendary “The Wizard of Oz”. This movie is filled with action, suspense and adventure from beginning to end. Take a trip down the yellow brick road and catch “Oz the Great and the Powerful” opening in theaters this weekend, March 8th! Movie tip: I recommend watching it in 3D. Totally worth it.